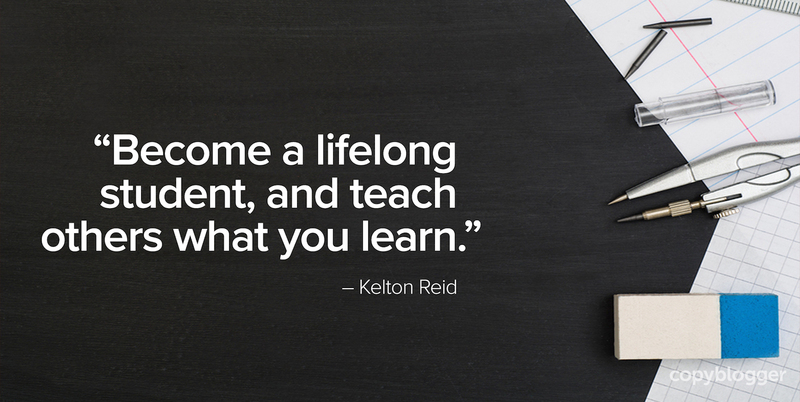 Once you’ve persuaded people to keep reading your content, you have to keep … producing content. And with the holidays coming up, do content creators ever get to take a break? 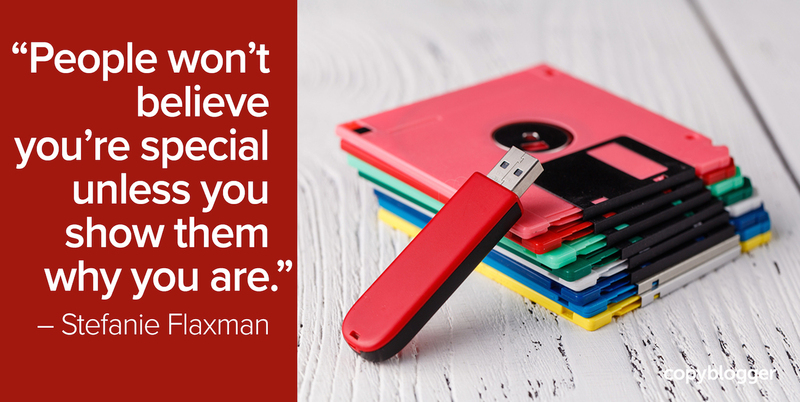 Absolutely … if you know how to prepare and schedule multiple pieces of content in advance. Then you can keep your audience satisfied while you take the necessary down time that will allow you to recharge your creativity. To start planning your content so that you can meet your publishing deadlines without getting overwhelmed, we’ll start with the simple, small task of selecting one content idea. Learning how to write a series so that you can take a break also helps you evolve as a content creator, because you’ll practice shifting from merely publishing content to building anticipation for your next installment. Then we’ll break down that one idea into a fascinating four-part blog series. If you produce one piece of content a week, the installments below will give you four weeks of content, but they could also publish four consecutive days in a row or every other day. See what works for you. Here’s where you select your content idea. Let’s pretend you run a health-conscious, organic bakery that serves tasty desserts. Your customers love your grape jam, so you want to give your blog readers a recipe for grape jam with natural ingredients and no added sugar. Start with a basic “how to ___” to generate your content idea. “How to ___” might not be your final headline, but filling in that blank with details narrows your focus. The motivation behind the information you share should be: why someone should listen to your advice about the topic. Then outline what you’ll cover in upcoming installments, weaving in anecdotes about how your tutorial will be more beneficial than other grape jam recipes. And that’s it for your first post. Write a call to action (CTA) for readers to subscribe to your blog to get the next piece of content via email. The goal of this post is to make readers feel ready to follow your advice. Link to installment #1 in your introduction and then write more helpful information about making your grape jam. What types of kitchen tools will they need? Where are the best places to buy the ingredients you’ll recommend? What is your issue with grape jams that have added sugar? How did you discover this recipe? 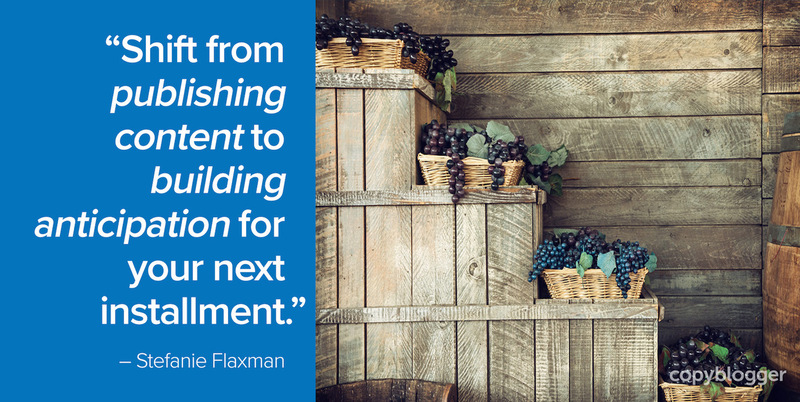 You build trust as you educate your audience and offer useful suggestions that prepare them for the next installment. Provide an “Additional Reading” section, with a link to installment #1. Write a CTA for readers to subscribe to your blog to get the next piece of content via email. In this post, you’ll show how to make your grape jam, step by step. You could also discuss the type of container you like to store the jam in and how long it will stay fresh. The tutorial should make sense to anyone, even if they didn’t read the previous two installments. But there will likely be opportunities throughout the text to link to the other installments you’ve already published. When you edit your first draft, look for ways to engage and entertain. 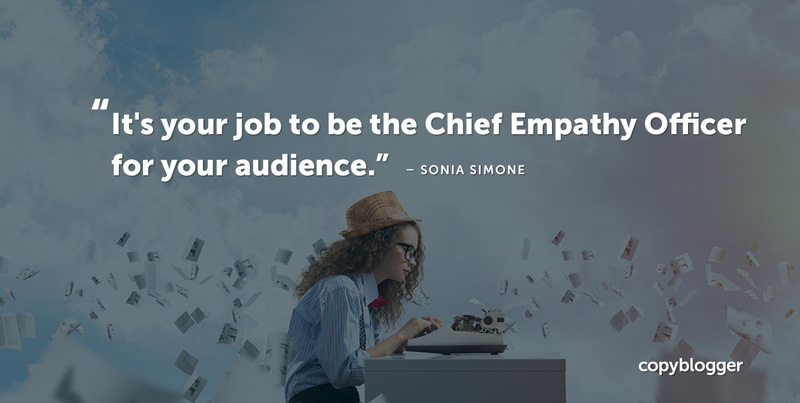 Give readers an experience they won’t have on other bakery blogs. Provide an “Additional Reading” section, with links to installment #1 and installment #2. Encourage readers to experiment with your recipe and inspire them to learn more about organic desserts. What types of bread complement the grape jam? Can they easily alter the recipe to make strawberry, blueberry, or raspberry jam? Is the grape jam an ingredient in other recipes you’ll publish in the future? If you plan to create additional four-part series, you can tease upcoming tutorials that will cover related topics. Provide an “Additional Reading” section, with links to installment #1, installment #2, and installment #3. Write a CTA for readers to subscribe to your blog to get your content via email. Edit the “Additional Reading” section at the end of installment #1 so that it has links to installment #2, installment #3, and installment #4. Add links to installment #3 and installment #4 in the “Additional Reading” section at the end of installment #2. Add a link to installment #4 in the “Additional Reading” section at the end of installment #3. Ready to write your next content series? In the comment section below, let us know about the topic you’ll tackle with this method. I was looking to create content like this on my blog but wasn’t sure how to lay it out. This definitely gives me some ideas and will use it as a template for some of my future posts. Great read Stefanie! I have read a lots of these type of articles before, where they beautifully create a buildup for the next episode and you actually look forward to it and now I know how they actually do it. Many thanks! This simple tactics can rocket sky our simple blog post and it can attract more and more traffic to our blogs. us, if they find something useful and meaningful information along with our writings. Preparing multiple pieces of content is helpful. We should be prepared for future. Building anticipation works as it generates curiosity. 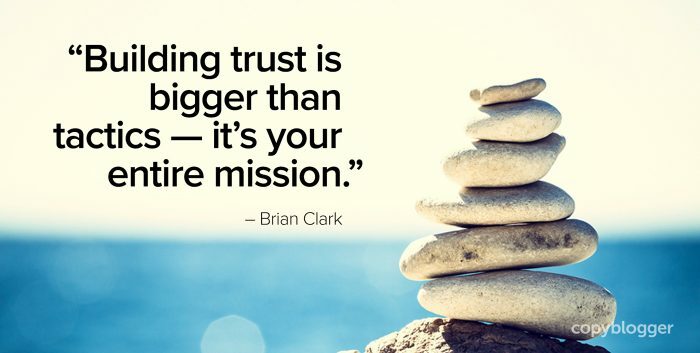 Building trust is bigger than tactics as trust lives forever. I will be experimenting with “How To Solve The Biggest Problems With Fat”. Great post, Stefanie. I am working on a series right now for my blog so I can be away for a couple of weeks doing other things. Your info is spot on! Thanks for sharing! Hey there! I really appreciate the idea on planning for being away, or even just writing a series and being set for the week. This is interesting. The internet I know hates to wait for anything. Are you sure that this won’t just frustrate an audience that just wants a recipe for a natural jam with less sugar and can find one in a hundred other places? That’s a great question, thanks for asking it. Depending on the topic, the person whose needs can be meet with content they can find in a hundred other places has a very low likelihood of ever becoming a customer or client. You can try to compete with those other 100 sites and monetize your site with ads (very hard) or you can find the smaller number of of potential customers who want something more in-depth, and create long-term commercial relationships. 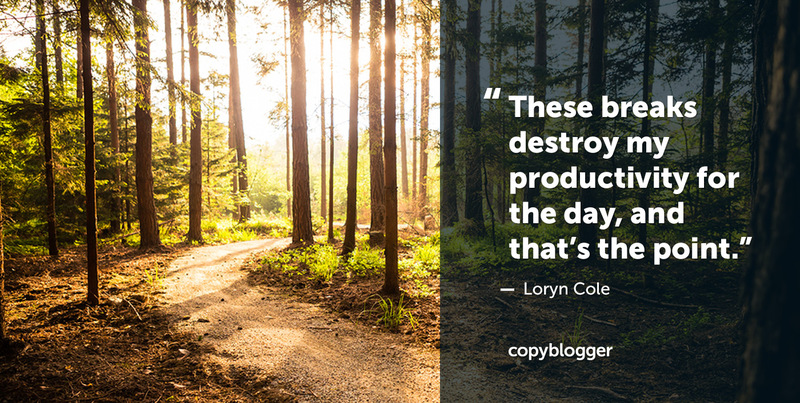 These days on Copyblogger we don’t write much about creating content to generate massive anonymous traffic, we write about creating content to support a business with an engaged audience. Fewer people, tighter relationship. Great words. I am writing to families bound by silence and stigma surrounding mental health issues. I want them set free and others educated so we can better help. Thanks for the help in getting clear direction in building a follow through line. Glad you found the framework helpful, Hazel! I’ve never published a fiction series versus start-to-finish fiction posts, so I’m curious to see how it goes! And I definitely understand wanting to cram everything into one post — and sometimes that’s really the best choice (for nonfiction too)! Creating a series of articles is a brilliant idea as it takes away a lot of the anguish that can be around when trying to brainstorm new ideas all of the time. I can see some huge benefits in terms of pulling visitors back to the site in anticipation of the next installment. From my perspective the biggest issue would be coming up with a big enough idea that could then be fleshed out into your suggested components. Thanks for the concept and the installment ideas.